On Saturday, October 24, I was able to make a brief visit to the quarterly Lions District 12-N Cabinet Meeting which was held at Lions Volunteer Blind Industries (LVBI) in Morristown. I met a few new friends, including Bonnie Peters of the Inskip Lions Club, and Martin Skinner of the Kingston Lions Club. 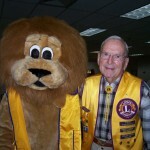 I’ve been trying to find my way down to Kingston for a Lions Club project, so hopefully I’ll be able to do that soon. 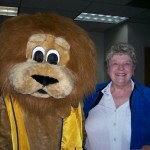 In any event, it was nice to meet Lion Martin in person! It was also great to recognize many faces from some of the other events I’ve attended. 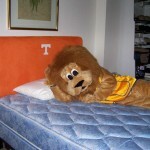 There aren’t too many strangers among Lions! Although I have been to LVBI a couple times now, this is the first time I had an opportunity to wander into the retail show room. The blind and visually impaired employees at LVBI make, among other things, mattresses. I’ve got a couple other photos in my photo album.